Eating fruits and vegetables can be difficult for many consumers -- especially those who are picky eaters. But results from a new study may have consumers heading to their grocery stores and stocking up on everything green. 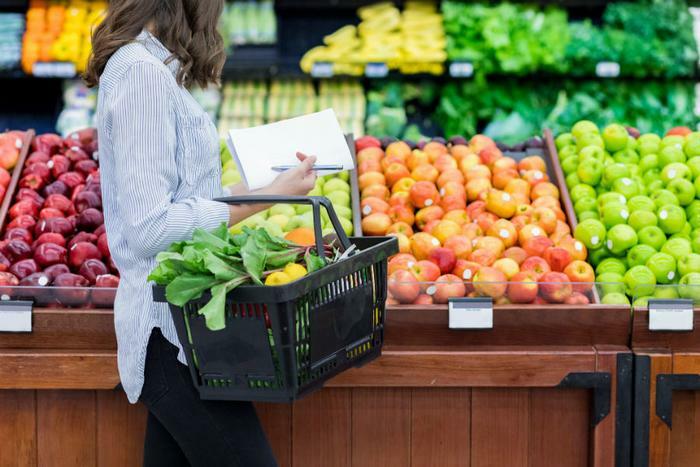 Researchers from the University of Leeds found that consuming more fruits and vegetables can positively impact consumers’ mental health -- in addition to benefiting physical health. “While further work is needed to demonstrate cause and effect, the results are clear: people who do eat more fruit and vegetables report a higher level of mental well-being and life satisfaction than those who eat less,” he added. The researchers followed over 40,000 United Kingdom residents over a six-year period, from 2011 through 2017, using data from the U.K. Household Longitudinal Survey. The survey asked participants to divulge several different factors about their lifestyles to get an accurate overall representation of health. Questions accounted for things like day-to-day diet, education, marital status, income, age, health, and employment status. The participants were also required to report on their own mental well-being and overall life satisfaction. The researchers found that those who were eating more fruits and vegetables were found to have more positive feelings about their lives. Even a small amount made a difference, as adding just one extra serving of fruits and veggies each day reaped enormous mental health benefits. The researchers found that this small change affected participants’ mental health in the same way that walking eight extra days a month would. The researchers are hopeful that these results will inspire more people to incorporate fruits and vegetables into their diets, as many participants reported not eating enough on a regular basis. The benefits of healthy eating seem to be endless. A recent study that consumers who follow eco-friendly diets are helping the planet -- and their bodies. Though climate-friendly diets were lacking in some nutrients like calcium, iron, and vitamin D, consumers who followed them also ate less red meat and dairy, which helps to produce fewer greenhouse gas emissions and also fills the body with more healthy, saturated fats.